Statins are drugs used by people at cardiovascular risk to lower their cholesterol levels. Although these are indeed very common drugs, not all patients are informed that taking them together with certain foods such as grapefruit juice can be counterproductive. In order to help overcome this kind of problem, an electronic platform for professional use has been created with updated information on the possible interactions resulting from combining drugs used to treat cardiovascular diseases with certain foods, food supplements, and medicinal plants. The aim of this tool is to provide accessible and up-to-date information to pharmacists so that they can inform patients, prevent complications, and facilitate personalized pharmaceutical care. This tool is available to pharmacists in the province of Barcelona through the website of the Association of Pharmacists of Barcelona (COFB), and allows them to access information based on up-to-date scientific evidence. Thus professionals can search by therapeutic or drug group, food, medicinal plant or supplement and obtain detailed interaction descriptions, bibliographic references, and recommendations for action. The database is complemented with other resources such as a guideline decalogue that includes the main recommendations to be taken into account, such as avoiding high-protein diets and more than two cups of green tea a day when being treated with drugs such as warfarin and acenocumarol, anticoagulants used to prevent the formation of blood clots. In addition, the website also includes a system based on a questionnaire validated by the World Health Organization (WHO) through which professionals can register and notify of known interactions. 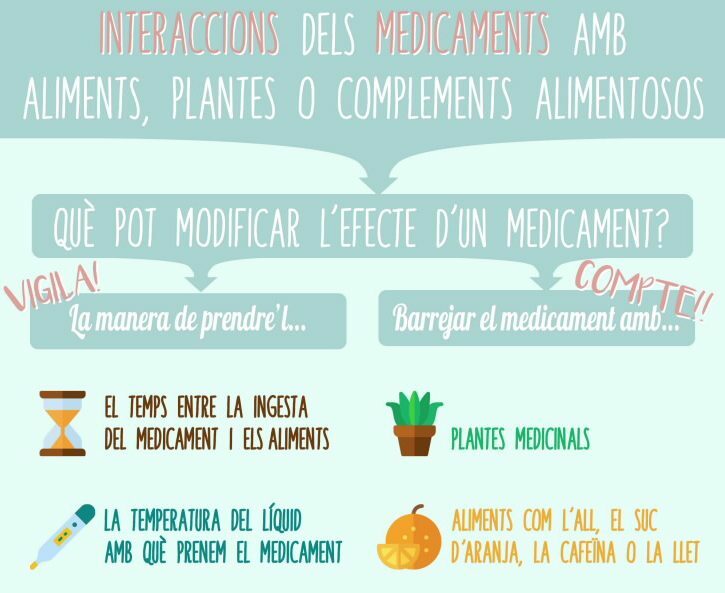 The new tool has been promoted by the Association of Pharmacists of Barcelona and developed by Anna Bach-Faig and María José Alonso, member of the Food and Nutrition Committee and former member of the Medicinal Plants Committee of the COFB, respectively, in collaboration with María Carmen Vidal Carou, Professor of Nutrition and Bromatology at the University of Barcelona, and Salvador Cañigueral, lecturer at the Department of Pharmacology and Therapeutic Chemistry at the UB, within the framework of an agreement signed by both institutions through the Bosch and Gimpera Foundation. Do you have an innovation success story you would like to share?